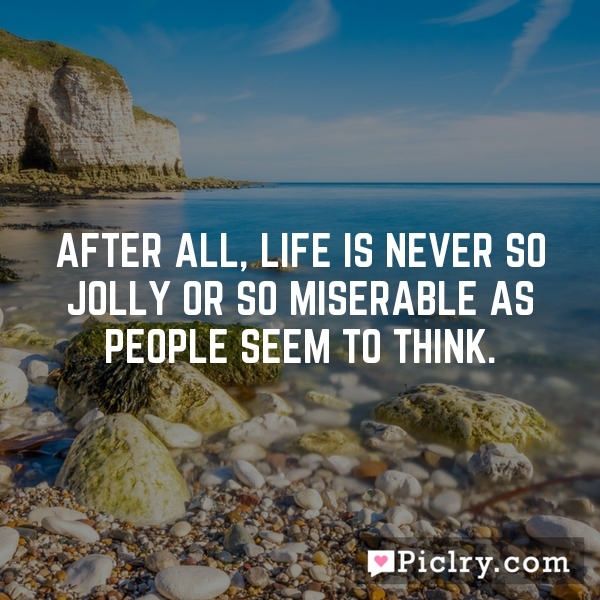 After all, life is never so jolly or so miserable as people seem to think. At the end of the day, you control your happiness at peace. Pursuit of contentment is not the pursuit of an elusive tomorrow; it is the celebration of today. In that, it is the pursuit to end all pursuits.